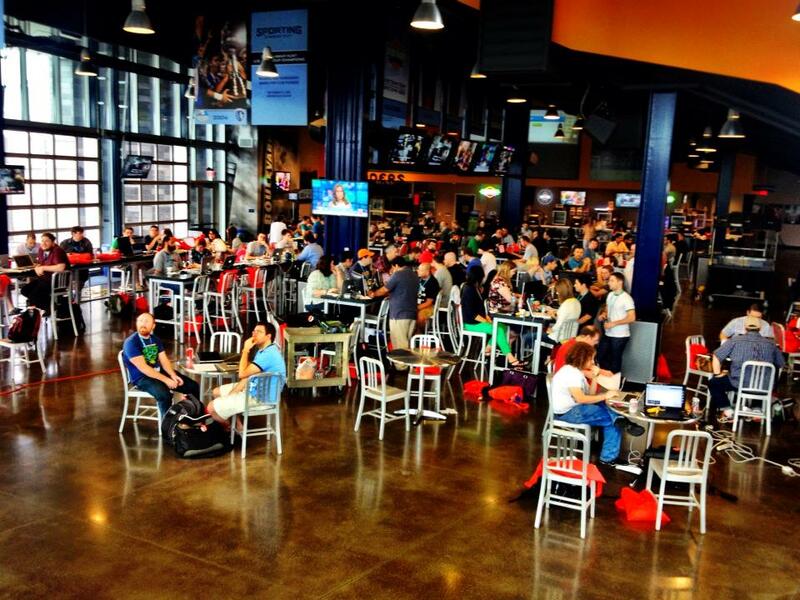 In just 24 hours at Sporting Park, 150 developers built and presented 30 amazing apps at Hack The Midwest. 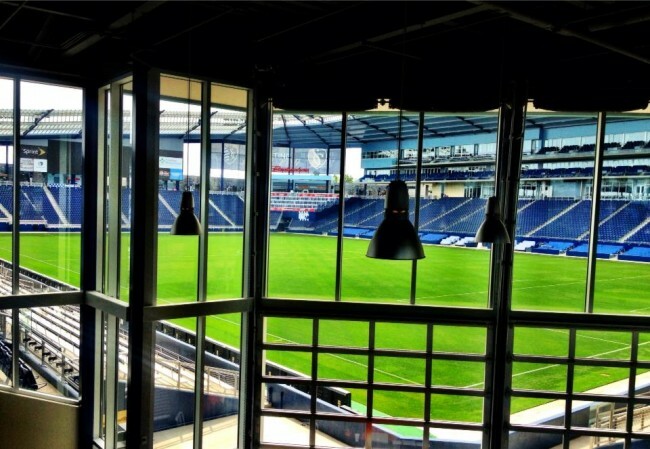 Innovation is indeed alive and well in Kansas City! 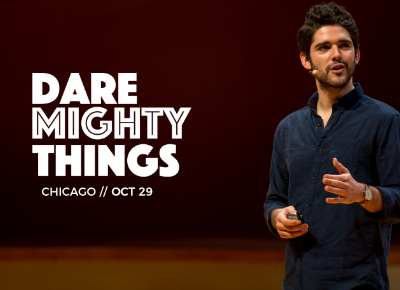 We’re excited to bring you the first in a series of posts about Hack The Midwest! Today we’ll share information about all of the winning apps! 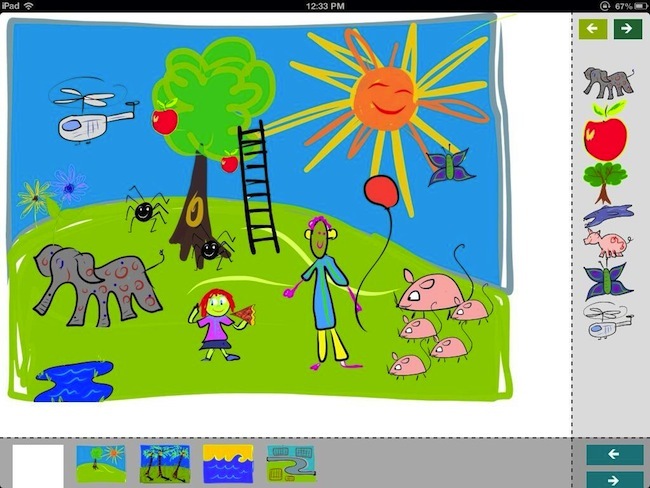 Sticker Story Book, developed by Darren Cauthon, Caleb Cauthon and Rebecca Tombaugh won the “Best Of Show” app, which got 3 Apple TVs and 5 tickets to our Compute Midwest event this fall! SoBEERiety was built by Daniel Ash, Kevin French, Jamie Herlein, and Bobby Williams. They won the award for “Most Entertaining App”, which included a 3 Spheros and 3 tickets to our Compute Midwest event this fall! SoBEERiety is an app that will maintain a database of brews you have tried, allow you to rate them, award points and achievements based on your beer consumption, and even offer some handy tools like the “ex-blocker”. Dan Silver and Ryan Endacott took home the award for “Most Challenging Tech” for their app, entitled “Crowd Armor”! The prize for this award category included a Nest thermostat and 2 tickets to our Compute Midwest event this fall! Crowd Armor is a real time social media data platform for crowd sourced online social media security. 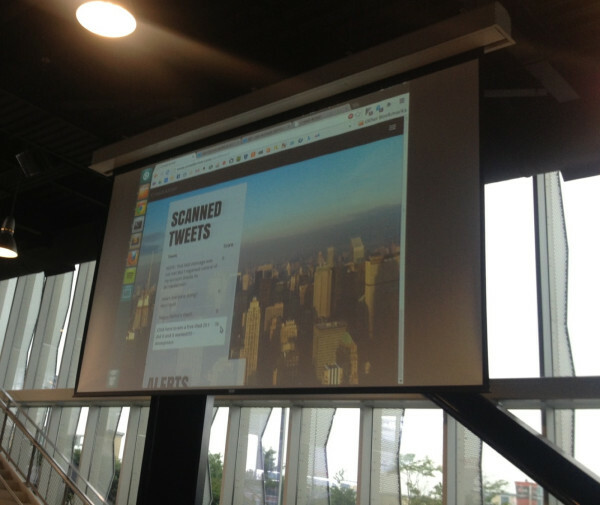 It analyzes your tweets & notifies you as soon as irregular patterns emerge. A tool like this might have helped prevent a recent brief stock market dip, due to a fake tweet from a compromised Associated Press twitter account. Abid Rahman, Elyas Shaiwani and Phaneesh Gururaj built Sherlock and won TWO prizes for best use of two different APIs ( AlchemyAPI and Tokbox API. The bounty for this winning entry was a cash prize of $500 from the folks at AlchemyAPI and $500 worth of streaming services (Netflix, Hulu, Spotify) from Tokbox! Based on inspiration from IBM’s Watson, the team created Sherlock – a super-computer built on the power of APIs. This game showcases what can be achieved by leveraging large data sources and analyzing data in an efficient manner. 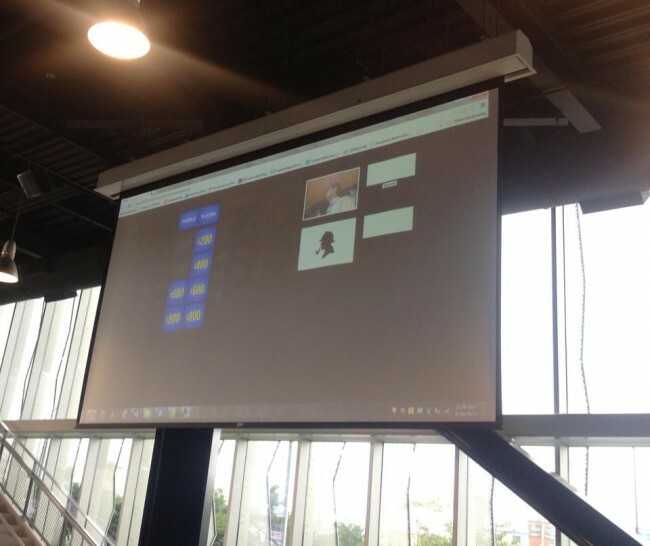 In order to build this idea, the team used the OpenTok API to create a real-time online gaming platform, AlchemyAPI to analyze large volumes of data and categorize Jeopardy style questions, IronIO Workers are used to create smaller workers that process the data and SignalR create WebSockets and long-living connections for a Jeopardy style game engine. The best use of the Context.io API award went to the team that created Bark.IM, built by Beshoy Girgis, Adam Muslimov, Kim McReynolds, Paul Shoemaker. The team received a $500 cash prize from Context.IO! Bark.IM is your new best friend! We will keep a secure, watchful eye on your email and when we see a match to one of your custom alert filters, we’ll send you a text message. You tell Bark what you want. Be as broad or as specific as you like. Bark will pass the message on. You can relax and stop watching your Inbox. 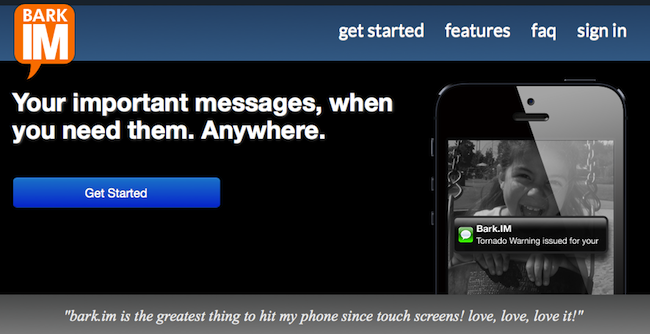 Bark.IM will deliver the messages you want to your phone instantly. The best use of the Mashery API award went to the team that built MooD: Arynn Nease, Luke Babb, Joel Angelone, Andrew Heuermann and Adam Chura. They got a Jawbone Jambox from Mashery for their winning entry! Jumping with joy? Calm and cool? Down in the dumps? Search Twitter and your email to find out who’s with you. MooD brings you an analysis of the world’s opinions and displays them in an organized, gorgeous grid. Search friends, trends and topics; filter by date, time or place. The best use of the Dwolla API award went to the team that built uFetch: Steven Briggeman, Chris Rochford and Ryan Mott. Dwolla awarded them 3 Raspberry Pi Complete Starter Kits for their winning entry! 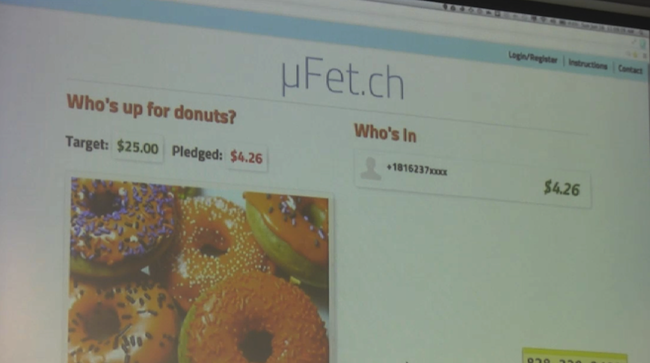 uFetch is a competitive rapid-fire private micro crowdfunding platform. Office donuts will never be the same. 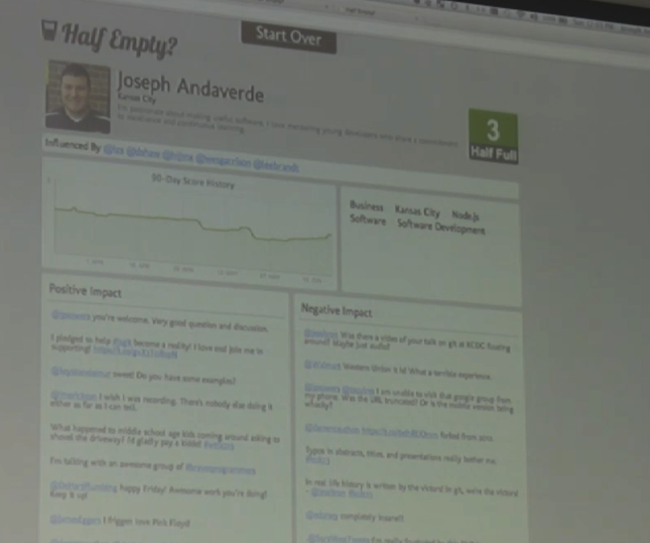 The best use of the Iron.IO API award went to the team that built Half Empty: Joe Andaverde and Scott Smerchek. They got a GoPro Hero Camera from Iron.io for their winning entry! Analyze a persons tweets to find out if they are a negative nancy or a positive polly in public. Extract information about tweets to see what kinds of topics the person talks about. The application shows a trend over time of a persons negativeness/positiveness. 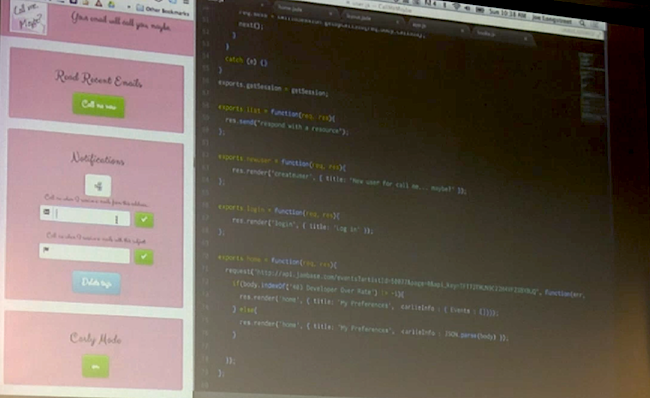 The best use of the Sendgrid API award went to the team that built Half Empty: Matt Dunn and Ivan Markov. They got “SendGrid’s Hardware Hackpack” which included (1) LEGO Mindstorm + (1) Sphero + (1) Arduino Inventor’s Kit for their winning entry! Have you ever been involved in a disaster and needed a quick and easy way to let everyone know you are ok? Have you ever had a loved one who was in a disaster and was constantly worried whether they were ok? Have you ever been frustrated reading about relief agencies that get pennies on the dollar due to administrative costs for collecting money? Have you ever been frustrated when you hear about a disaster but you don’t know how/where you can give? 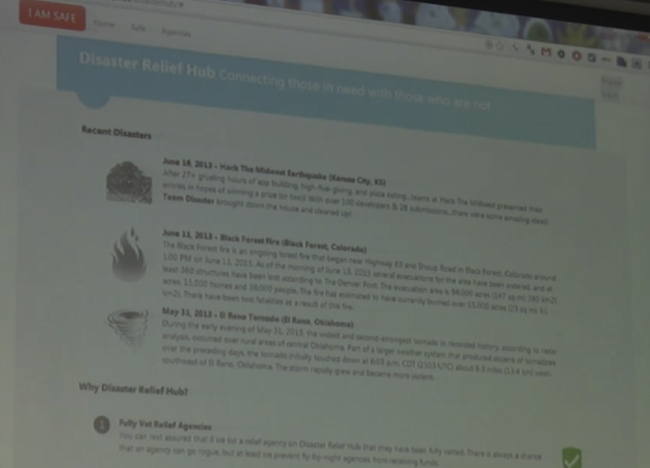 If you answered “Yes” to any of the above questions then Disaster Relief Hub is for you. The best use of the Twilio API award went to “Call Me Maybe”, built by Todd Way, Jennifer Wadella, Joe Longstreet and Russell Madsen. They got 2 iPad Minis from Twilio for their winning entry! Call Me Maybe aims to solve the issue of needing to read important emails during a commute. Users are able to set flags and preferences in the interface for when and what emails they would like to receive read outloud via phone call. Both male and female voices are offered, each with their own helpful interface guide. We’ll be writing more in depth coverage about some of the winners from Hack The Midwest and other interesting ideas, so stay tuned!